A simple scoring system can track the reduction in diabetes risk produced by lifestyle changes and medication in people with pre-diabetes, a new study has found. The findings suggest the potential that the tool could be a good way to motivate patients to stick with diet and exercise changes that could save them from developing full-blown diabetes. The new study suggests that the scoring system, known as the MetS Severity Score, could help people with pre-diabetes appreciate the benefits of their hard work to make healthy changes. The system previously has been shown effective at predicting the risk of diabetes, but the researchers wanted to determine if it could track changes in risk over time. The answer was yes. 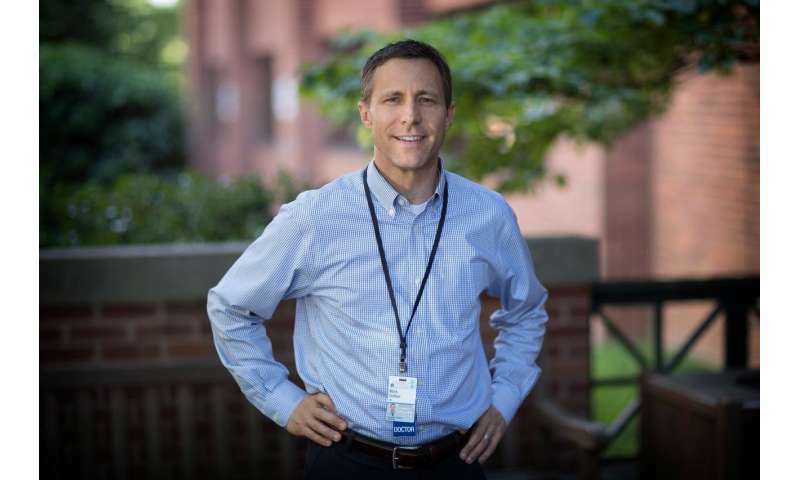 "We knew that a person's MetS severity score helped predict their future chances of developing diabetes and heart disease; this was the first time we have been able to show that a decrease in score during treatment reflected a decrease in risk of future disease," said researcher Dr. Mark DeBoer, a University of Virginia Children's Hospital pediatrician who developed the scoring system with Matthew J. Gurka of the University of Florida. "This means that following the score over time gives a patient an indication if their recent changes in exercise and diet are helping to decrease their chances of developing diabetes." More than a quarter of Americans have pre-diabetes, meaning they are at elevated risk of developing type 2 diabetes. Eating healthier, losing weight and exercising more can reduce that risk, but those changes are hard, and many people struggle to stick with their doctor's recommendations. "Unlike many other risk scores that can assess risk at baseline, but can't be used to follow risk over time, this score changes in a meaningful way to help both doctors and patients know if their current treatment is helping to reduce their risk," DeBoer said. To determine the tool's usefulness for predicting evolving risk, DeBoer, Gurka and researcher Stephanie L. Filipp analyzed data from 2,476 people with pre-diabetes who received treatment with lifestyle changes, the drug metformin or placebo. Those patients were all part of the Diabetes Prevention Program and were enrolled between 1996 and 1999. They were then followed through 2014 to determine whether they would develop diabetes. "We are hoping to make this score available to clinicians and patients to track their progress," DeBoer said. The researchers have published their findings in the scientific journal Diabetes Care.